Casa Batllo in Barcelona is more than a colorful house: it's a masterpiece by the famed artist and architect, Antoni Gaudi. Through this ticket, you'll experience a “modern artistic myth” of constructed modernism. 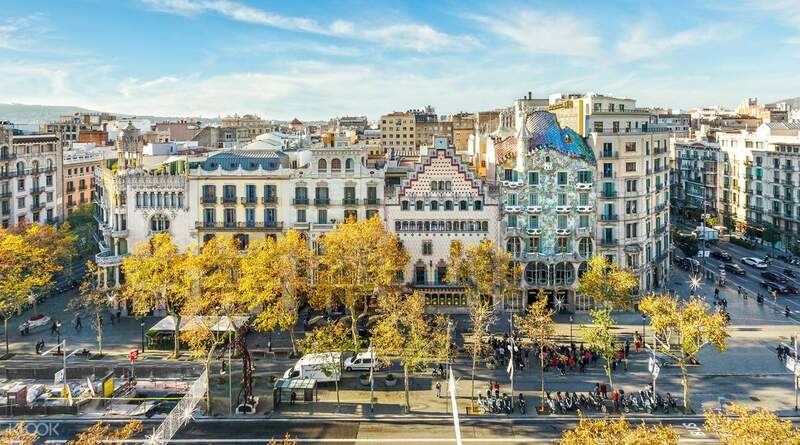 Entering this attraction is like taking a step into 20th century Barcelona when Gaudi first created this masterwork, and you can marvel at the amazing visual expression it has both outside and within its interiors. 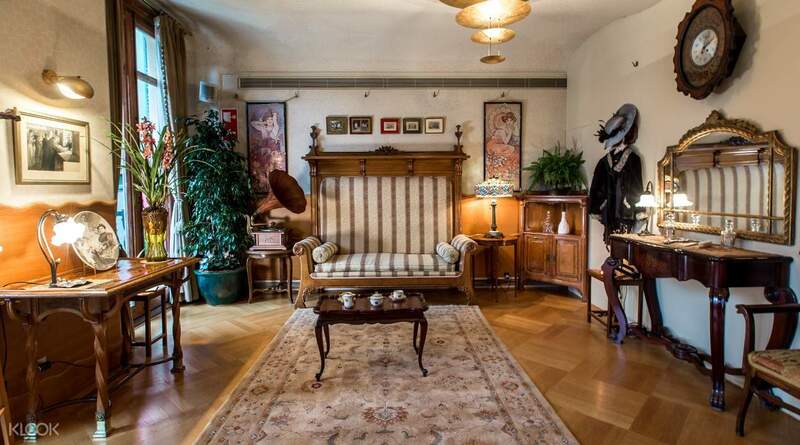 When you're in this piece of Spanish history, you should head up to the legendary Noble Floor, which was the original residence of the Batllo family that has lived in this famed house. The Attic is another sight that shouldn't be missed, as the formal storage rooms and where the charming wash tubs are held. Explore the Roof Terrace and see its wonderful, whimsical Chimneys, flanked by the backbone of the dragon slain by St. George. And most of all, you shouldn't miss the grand Stairwell and its ornate designs. The house itself is a work of art, both outside and in, and a wonderful piece of Spanish history that you shouldn't miss. 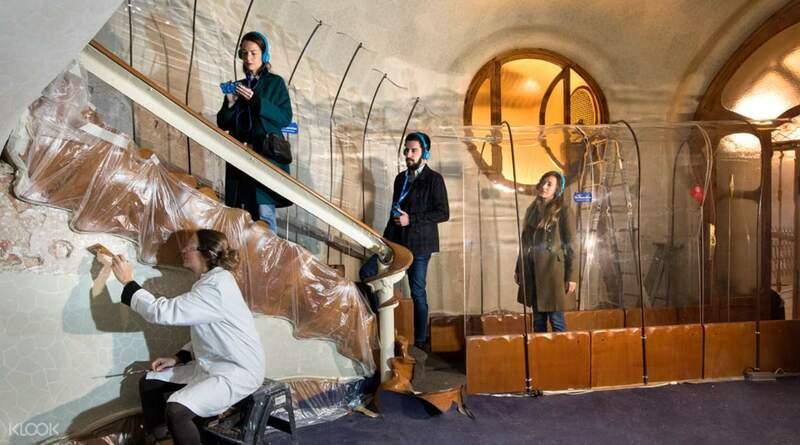 Casa Batlló will be in restoration until June 2019, so get the exclusive opportunity to observe the restoration of the walls and ceilings of the Batlló family's former residence! It was indeed a skip the line access, it’s really convenient if you book everything rather than walk in and have an adventure plan. The place was very enigmatic. The Architect, which I thought never existed, was Genius. He made my heart melt, in each and every corner. Furthermore, I literally touch the infrastructure as if I know how to build one. I just felt the presence of God, in his works. He technically molded those things by hands then build it, super classic hardworking person indeed. A really great experience to walk down memory lane, and renew your soul. It was indeed a skip the line access, it’s really convenient if you book everything rather than walk in and have an adventure plan. The place was very enigmatic. The Architect, which I thought never existed, was Genius. He made my heart melt, in each and every corner. Furthermore, I literally touch the infrastructure as if I know how to build one. I just felt the presence of God, in his works. He technically molded those things by hands then build it, super classic hardworking person indeed. A really great experience to walk down memory lane, and renew your soul. Beautiful creation by Gaudi. Hassle free redemption made our visit very smooth, Thank you Klook. Beautiful creation by Gaudi. Hassle free redemption made our visit very smooth, Thank you Klook. Need to print out the voucher. Overall, waiting time is short. Casa Batllo is worth visiting if your can only choose one among all Gaudí’s works. Need to print out the voucher. Overall, waiting time is short. Casa Batllo is worth visiting if your can only choose one among all Gaudí’s works. Cool activity! Gaudi’s works are obviously amazing and definitely a must see. So I’ll just talk about my experience from the staff and other things. The line was very long in the morning! Probably because everyone was trying to beat the line. Thinking there will be noone if they come early but it was the other way around. The audio guide and video made the experience definitely enjoyable. Also, the staff first didn’t want to let me in through the FastTrack lane, saying I only bought a Skip the Line ticket -which means I skiped the line from buying the ticket in the building itself. But I insisted that I payed a little extra for the Skip The Line entry which should mean “FastTrack.” And she let me in. Imagine having to explain all this. Nonetheless, it was still good! Cool activity! Gaudi’s works are obviously amazing and definitely a must see. So I’ll just talk about my experience from the staff and other things. The line was very long in the morning! Probably because everyone was trying to beat the line. Thinking there will be noone if they come early but it was the other way around. The audio guide and video made the experience definitely enjoyable. Also, the staff first didn’t want to let me in through the FastTrack lane, saying I only bought a Skip the Line ticket -which means I skiped the line from buying the ticket in the building itself. But I insisted that I payed a little extra for the Skip The Line entry which should mean “FastTrack.” And she let me in. Imagine having to explain all this. Nonetheless, it was still good! Another beautiful house designed by Antoni Gaudí. Casa Batllo however is under restoration, but don’t let that turn you away from beholding another example of his superbly nature-inspired design. There’s almost always a large crowd, so even with my silver ticket I arrived early and had to wait in line. It wasn’t long at all but it can’t be helped since the attraction is 1, popular and 2, located on a major shopping street. The audio guide comes with smartphone that lets you see the house how it once was and walks you through the property. The sky walk is also fun to see the outer facade up close, but only for silver/gold tixs. Silver/gold also gets access to private hall which I found more impressive than the rest of the house so be sure to check it out! Another beautiful house designed by Antoni Gaudí. 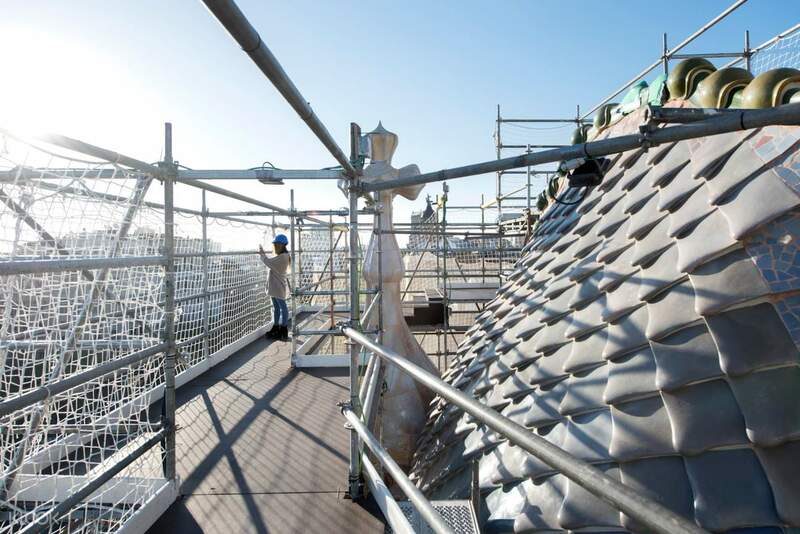 Casa Batllo however is under restoration, but don’t let that turn you away from beholding another example of his superbly nature-inspired design. There’s almost always a large crowd, so even with my silver ticket I arrived early and had to wait in line. It wasn’t long at all but it can’t be helped since the attraction is 1, popular and 2, located on a major shopping street. The audio guide comes with smartphone that lets you see the house how it once was and walks you through the property. The sky walk is also fun to see the outer facade up close, but only for silver/gold tixs. Silver/gold also gets access to private hall which I found more impressive than the rest of the house so be sure to check it out! Fantastic experience and this place is our top favourite in Barcelona. Staff are friendly and helpful. Audio guide with 3D navigation is superb. There is one photo shooting spot and they will give you both hard copy and soft copy for FREE! The only drawback was we visited in February and they are doing restoration work. Fantastic experience and this place is our top favourite in Barcelona. Staff are friendly and helpful. Audio guide with 3D navigation is superb. There is one photo shooting spot and they will give you both hard copy and soft copy for FREE! The only drawback was we visited in February and they are doing restoration work. its so nice to have a separate line for claiming tge ticket. the audioguide with AR technology is fantastic and creative. it is a pity that the building is under construction and maintenance so some parts are closed. its so nice to have a separate line for claiming tge ticket. the audioguide with AR technology is fantastic and creative. it is a pity that the building is under construction and maintenance so some parts are closed. Easy to use, no need to queue. However, we found the site is under partial renovation when arrived. Cannot see the outlook of the building, which is quite disappointing.... suggest to make the note in the purchase site so the visitor will know in advance. Easy to use, no need to queue. However, we found the site is under partial renovation when arrived. Cannot see the outlook of the building, which is quite disappointing.... suggest to make the note in the purchase site so the visitor will know in advance. It’s a must to visit Casa Batlló. Upon entering the building, it makes you feel like you have dived into the sea. Pay attention to the design that is referenced to the living creatures under the sea! It’s a must to visit Casa Batlló. Upon entering the building, it makes you feel like you have dived into the sea. Pay attention to the design that is referenced to the living creatures under the sea! Casa Baltlo is an amazing work by the famous architect Antoni Gaudi. 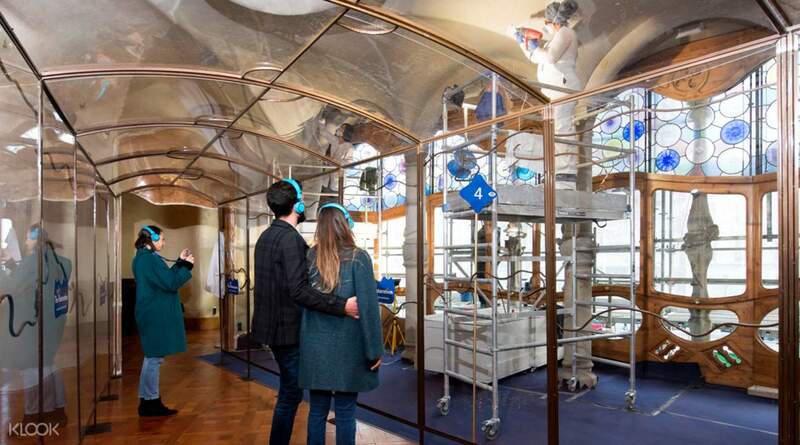 This work by Gaudi is great for a family tour with an audio guide that gives great explanation of the house. Strongly recommened. 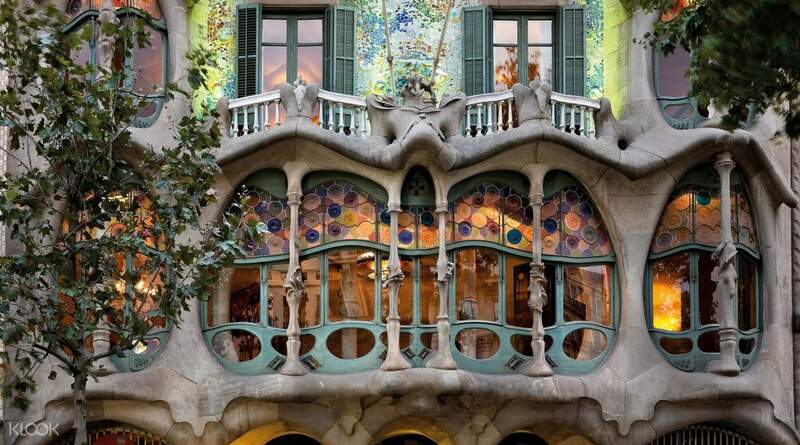 Casa Baltlo is an amazing work by the famous architect Antoni Gaudi. This work by Gaudi is great for a family tour with an audio guide that gives great explanation of the house. Strongly recommened.